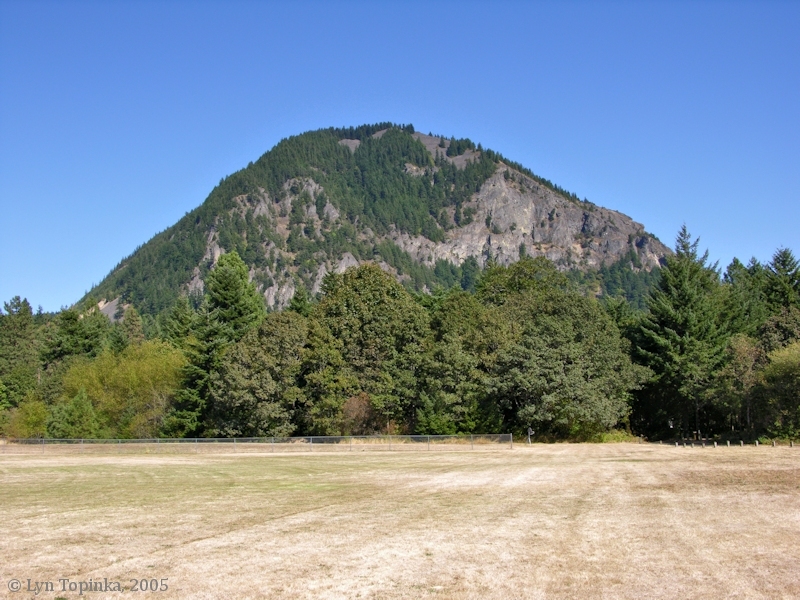 Click image to enlarge Oregon and Shellrock Mountain from Home Valley Park, Home Valley, Washington. Image taken August 27, 2005. 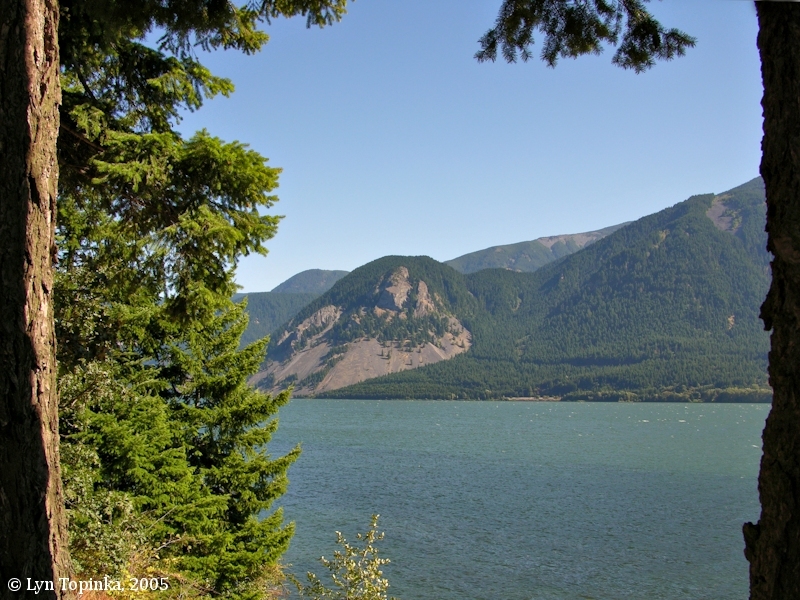 Home Valley lies on the Washington side of the Columbia River at River Mile (RM) 155, with Wind Mountain upstream and the mouth of the Wind River downstream. Four miles downstream is Stevenson, Washington. Home Valley is located in T3N R8E. Home Valley was settled by Norwegian emigrants. In 1893 John Kanekberg called the community Heim Dal, which postal authorities translated to "Home Valley". 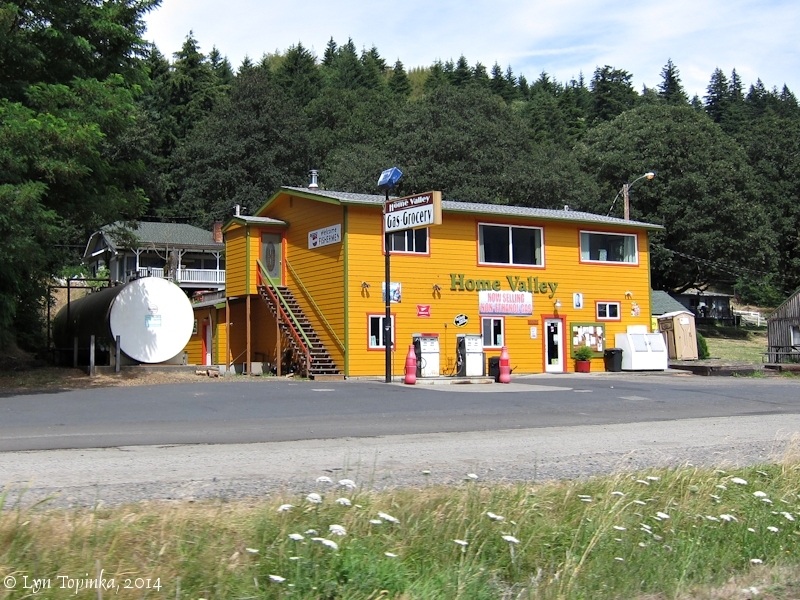 "Home Valley, a postoffice and settlement in the southern part of Skamania County. A few Norwegians settled in the little valley surrounded by mountains, and John Kanekeberg gave it the name of Heim Dal in 1893. The same year he was appointed postmaster and government translated the name into Home Valley. (Nellie E. Youcham, in Names MSS., Letter 346.)" Click image to enlarge Home Valley Gas and Grocery, Home Valley, Washington. View from moving car on Washington Highway 14. Image taken June 4, 2011. 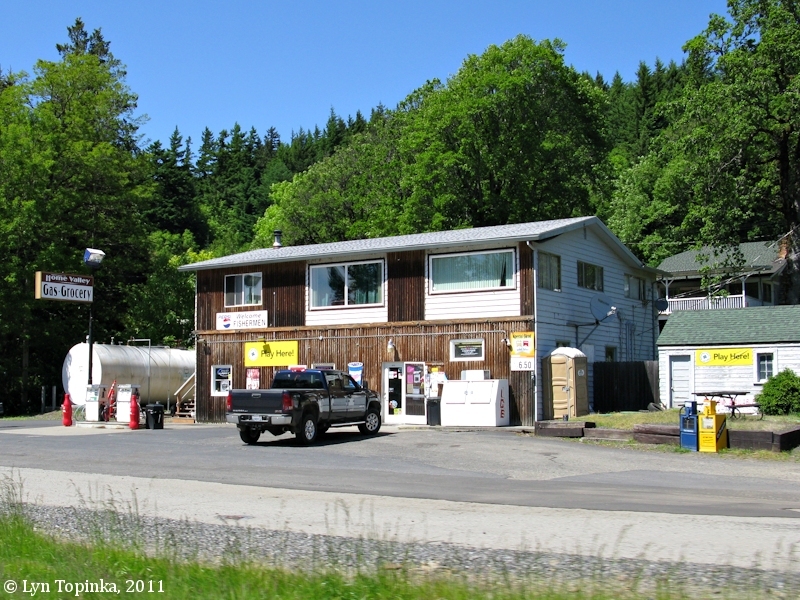 Click image to enlarge Home Valley Gas and Grocery, Home Valley, Washington. View from moving car on Washington Highway 14. Image taken July 21, 2014. 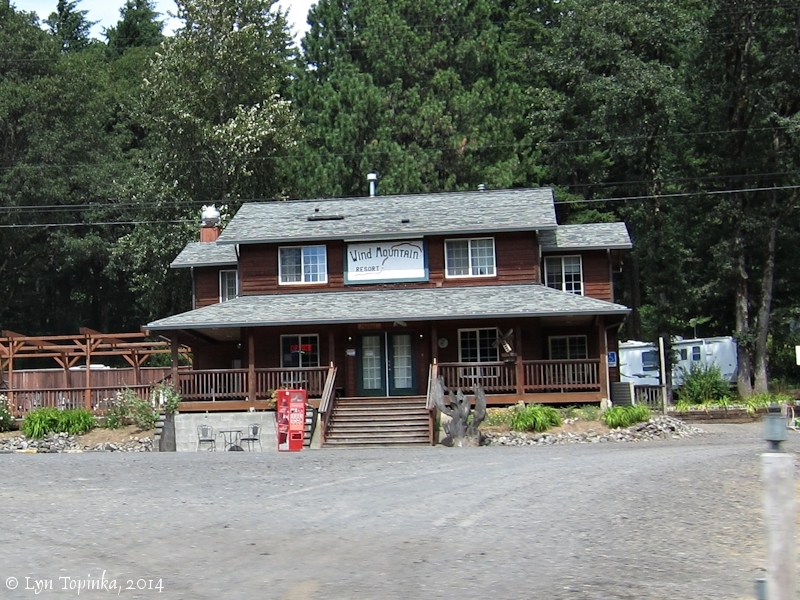 Click image to enlarge Whistle Stop Expresso and Deli, Home Valley, Washington. View from moving car on Washington Highway 14. Image taken July 21, 2014. Click image to enlarge Wind Mountain Resort, Home Valley, Washington. View from moving car on Washington Highway 14. Image taken July 21, 2014. Home Valley Park and Campground offers good views of Wind Mountain and Shellrock Mountain. 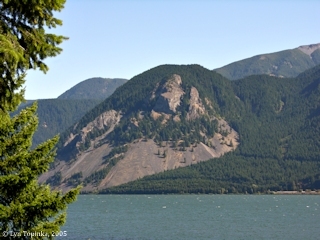 Click image to enlarge Wind Mountain from Home Valley Park, Home Valley, Washington. Image taken August 27, 2005. Click image to enlarge Shellrock Mountain, Oregon, from Home Valley Park, Home Valley, Washington. Image taken August 27, 2005.